The actual objective of this book is to provide tho the American public the brief existence and history of the X Corps during the early stages of the Korean War. 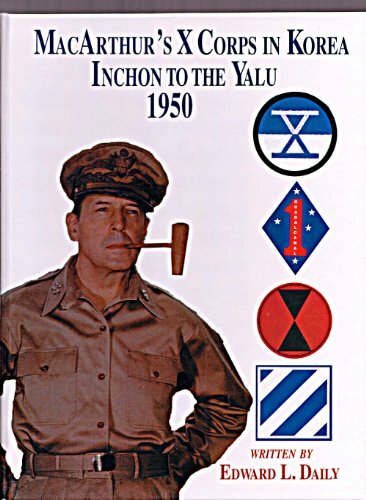 The title part of the book "Inchon to the Yalu", is significant to the very important amphibious operations made by the 1st Marine Division and the 7th Infantry Division. In later operations, the 3rd Infantry Division would become part of the X Corps.